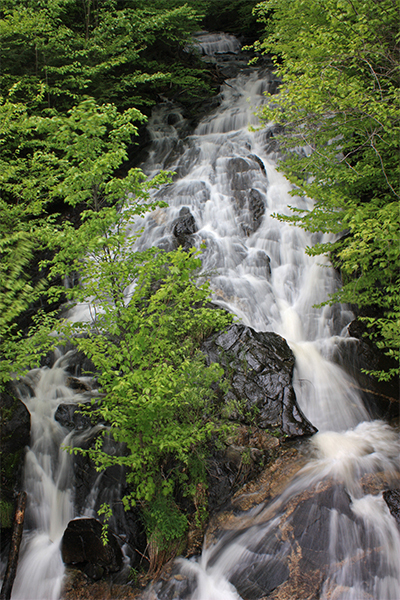 Marguerite Falls is about as impressive of a roadside waterfall in Massachusetts as you could probably find. The top of the falls-barely visible from the road-starts narrow and spreads as it descends, only to reconnect beneath the highway. 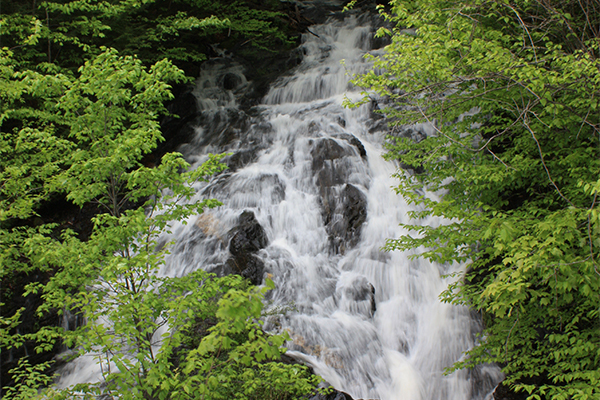 There is some vegetation surrounding the falls that lends itself well as a frame in photographs. The good news is you don't even need to get out of your car to get a good view of these falls. My best advice is to visit in March and April, when the falls are likely to be in full force. There is a strong possibility that the falls dry up each summer, unless a recent strong rain has powered them back to their glory of course. The falls are clearly visible from the west side the state highway. If you decide you'd like a closer look at the falls, it's about a 200 foot walk heading north along the shoulder of the highway to achieve that. This is a moderately busy state highway, so please take caution if you decide to do that. From the junction of MA 8 and MA 57 in the section of Sandisfield known as New Boston, take MA 8 south for 3.6 miles and the waterfall will be visible on the right hand-side of the road. You will need to drive 200 feet further and park in a paved pull-off on the left side of the road. To get to New Boston, take MA 57 west from Springfield or MA 23 east to MA 57 east from Great Barrington.